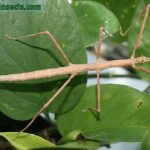 The Annam stick insect or Annam Walking Stick (Medauroidea extradentata) is a large and thin stick insect that can be kept as a pet. Originally is occurs in Vietnam. 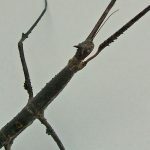 It’s any easy to keep stick insect that is interesting because of it’s weird body shape. 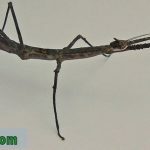 Males and females look different too, which is an interesting extra characteristic that makes the Annam stick insect different then for example the Indian stick insect. 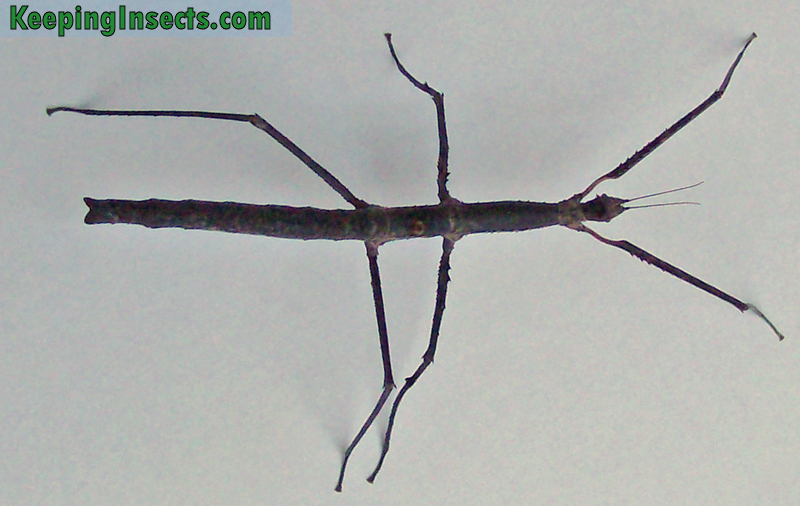 An adult female Annam stick insect has a long and thin body without any appendages. The body is brown and looks like it has a rough structure, similar to wood. 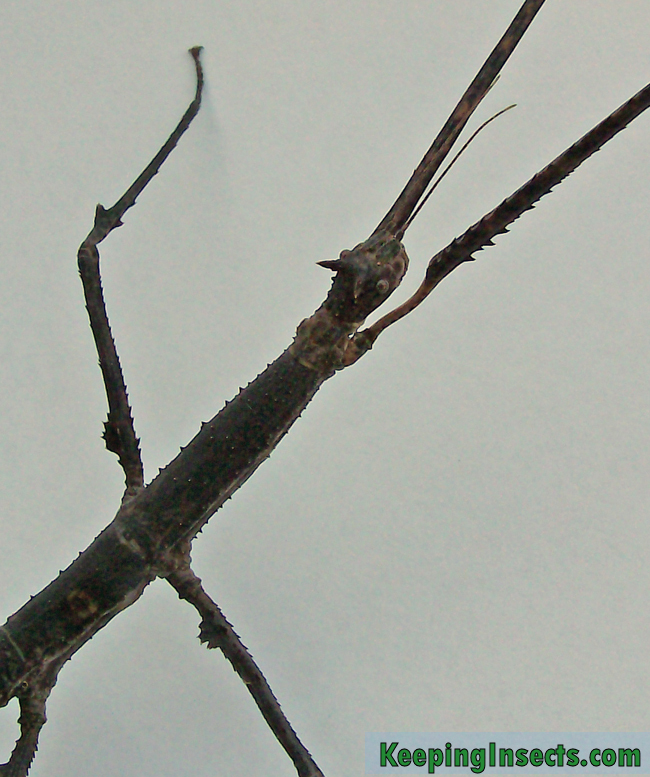 On her head she has two horns, a camouflage that mimics thorns on branches. 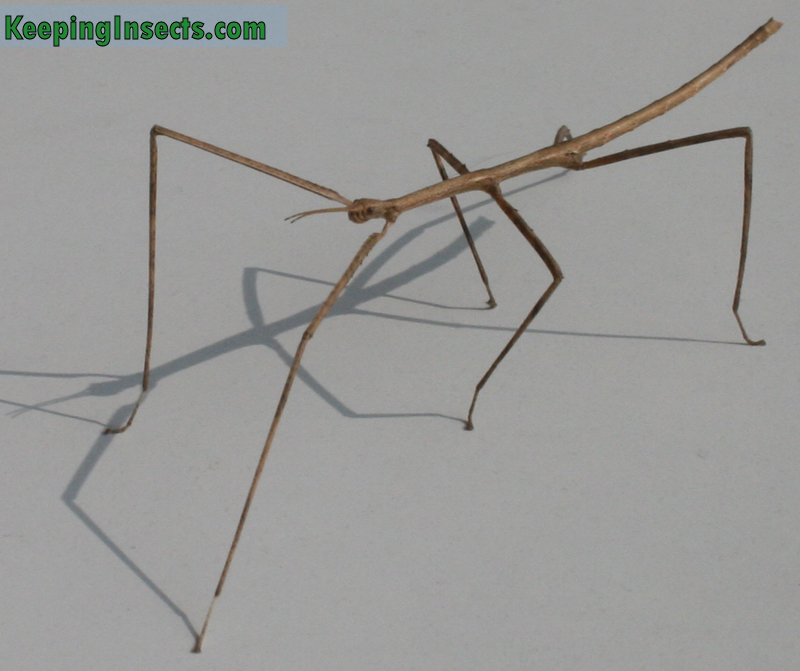 Her legs also have some structures that look a like thorns or like rough bark. 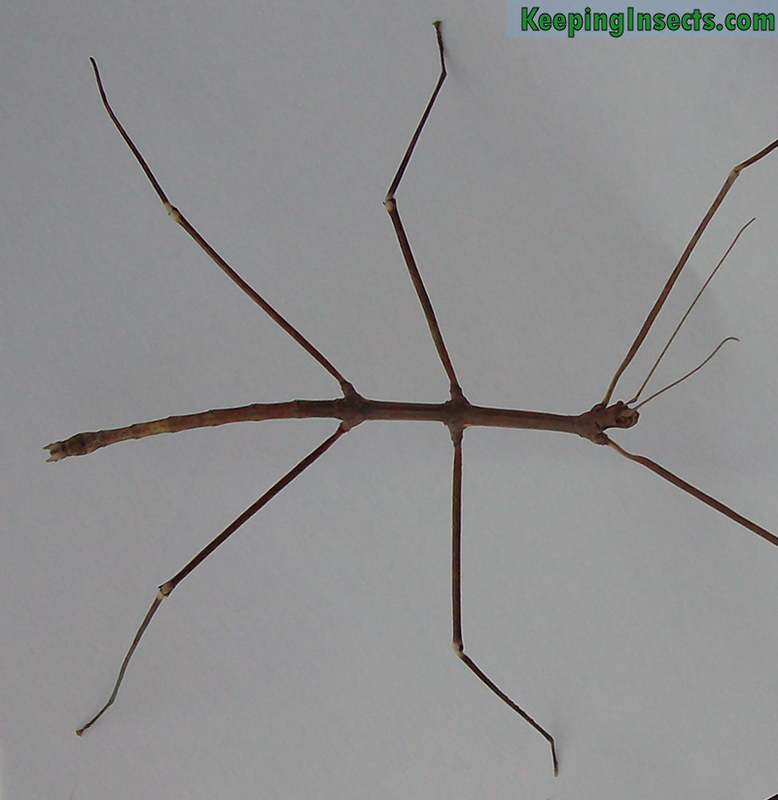 All these thorns are not actually sharp, it’s just a way to camouflage the body of the insect. 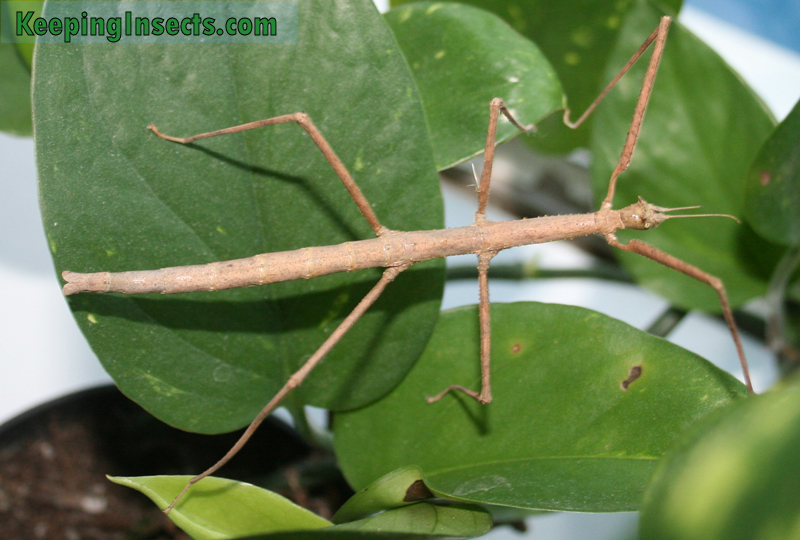 An adult male Annam stick insect is even thinner than the female and has a smooth looking body and legs. 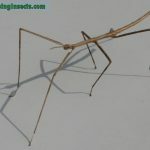 The female has much shorter antennae than the male. 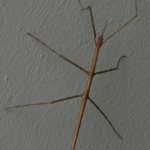 Both sexes will reach a body length of around 9 cm (3 inches). 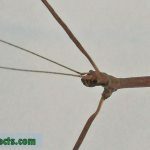 The nymphs (not yet adult stick insects) have a smooth looking skin. 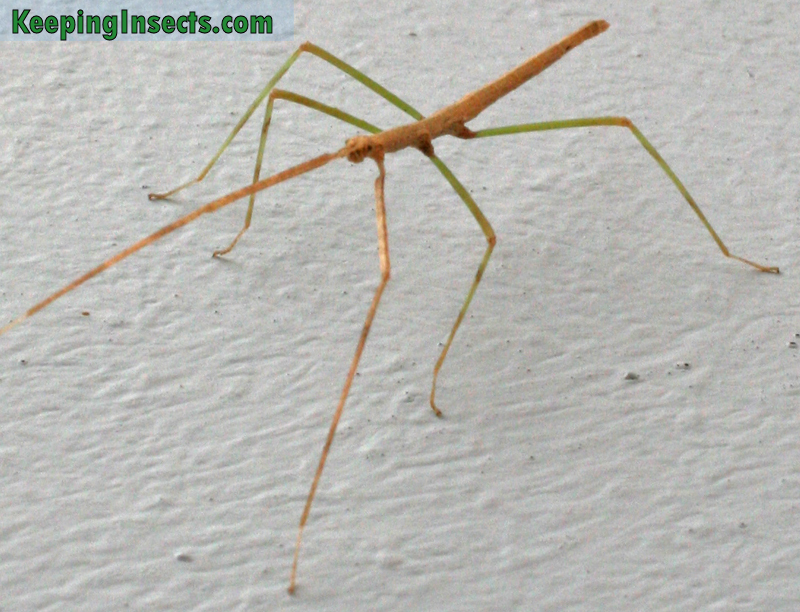 When young their legs are bright green and their body is light brown. When they get older they will be light brown all over. 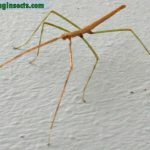 Some will develop a completely green body when young, but when adult this all converts to different shades of brown. 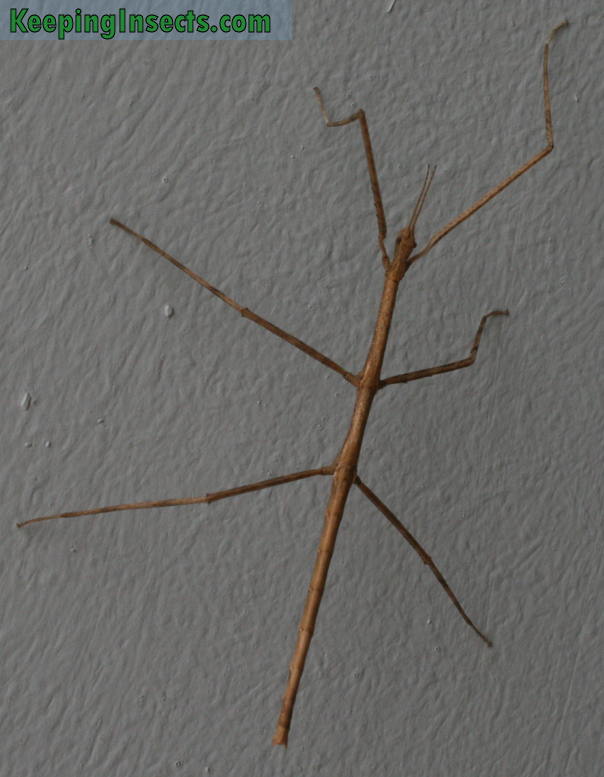 The stick insects are very docile and non-aggressive. 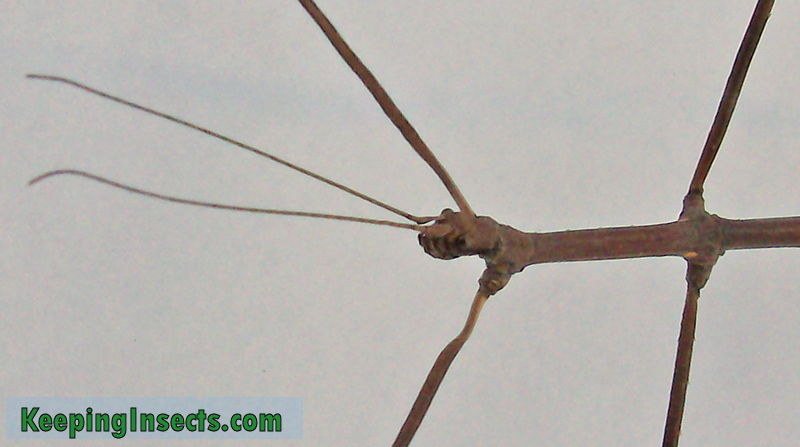 This species is night-active, like most stick insects. During the day they don’t move around a lot. 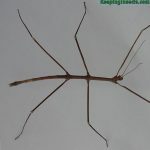 When you pick one up it will walk slowly. 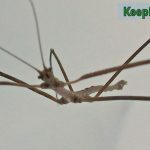 Sometimes it will pretend to have died, keeping its legs tight against its body. After a while it will give up its facade and will start walking again. 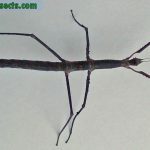 This stick insect can be fed with fresh leaves of bramble, oak, hazelnut, rose and raspberry. How to present these fresh leaves to them? Read our general instruction here. Don’t feed plants that have been treated with insecticide, like rose leaves from flower bouquets.